Better than a lot of others, I didn't sugar coat crap, I laid it out there. My point is, if you don't like how easy you really do have it, feel free to explore your options, don't let the door hit on the way out. The USA scores low not even half way up the list! You should be demanding better! As for other options? Seems to be 102 other option that are safer than tne USA. Its not a case of USA or Somalia. Thete are hundreds of countries in the world, some of which offer equal if not a better standard of living/freedom which the bonus of seeinf safer! New Zealand for example beats the USA in every category except military might. Ok what is national GDP of the kiwi folk? ohh in 2015 173.75 billion USD, so... just about any US based corp makes more than the entire nation? So how do they make any kinda of match? Ohh yes they don't have a 1/1000th of the population. So the most hazardous place on earth is 52 times smaller than the US, hmmm, me thinks maybe our police serve a purpose there sparky. If we have that much more land mass, think for a moment the population difference. Canada 9.985 million km² yet scores 156 in the top ten for safety. Cops often get a #ty deal from some members. Last year there was a thread every day about some atrocity committed by the police - all on video. 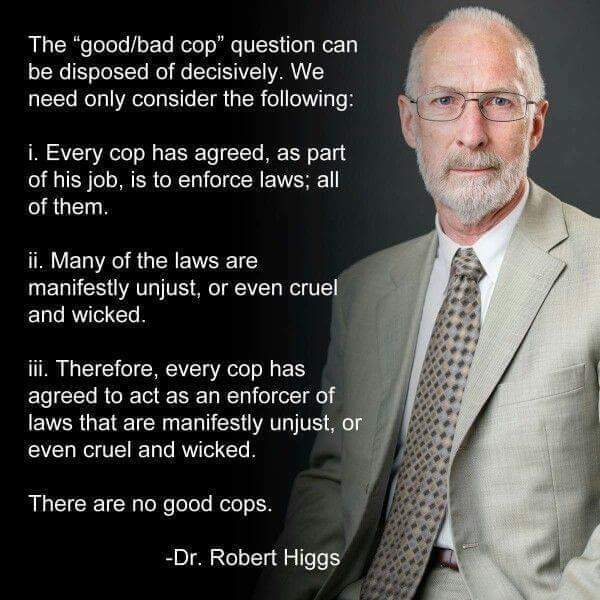 The problem as I see it, is *all* cops are being slurred and reduced to thugs because of the actions of a few. ~750 thousand LEOs working 365/24/7 must amount to several million interactions every year and thousands every day. The vast majority of activities undertaken by LEOs are within the letter and spirit of the Law. There are more taking part in community outreach programs than are ever involved in the negative portrayals. Again, Canada as nice as that frozen land might be, they don't have the population we do. The shear numbers we deal with REQUIRE police and enforcement just to keep what peace have. Yep and then some nut bags go and play duck hunt with them. NOT COOL!